Ex-pupil Oliver Fox made a guest appearance to run (literally) the cross-country club this week. Oliver has, in recent months, represented Great Britain at cross country. The cross country season has now finished and included the following notable recent successes. Tom Loader was the winner for Year 8 boys. Oliver Chatting and Grace Ashurst also achieved top five placings in their races. 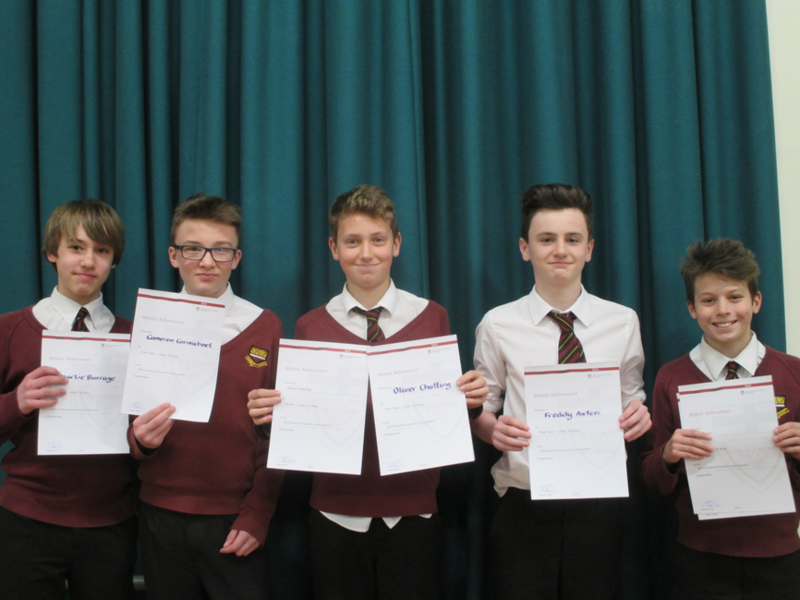 The Year 8 boys team- consisting of Charlie Burrage, Cameron Carmichael, Oliver Chatting, Freddy Axton and Tom Loader - won and the Year 7 boys team came second. The league consists of five races over the season. Hannah Carter achieved a top five placing in the league and Maisy Loader was sixth. Ivana Eamesovu and Alex Scott also achieved top 20 placings.